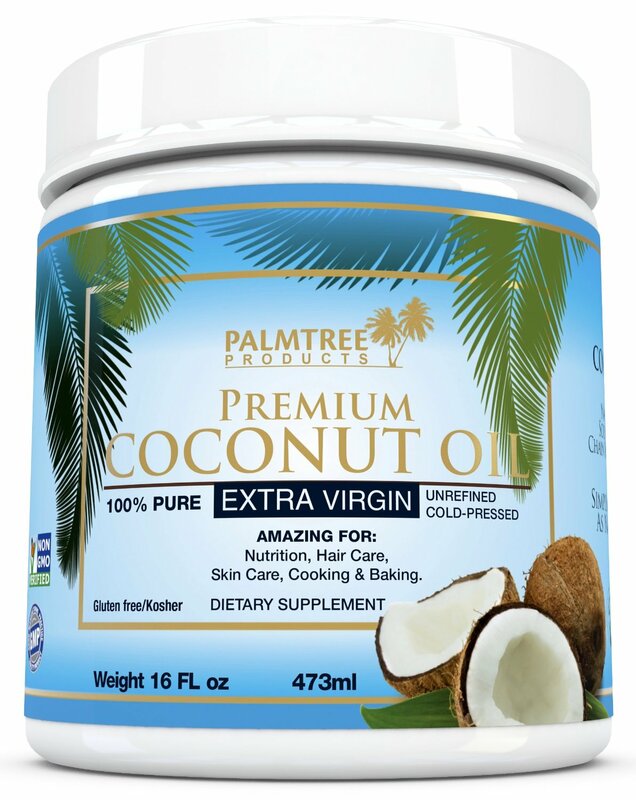 I absolutely love the smell of coconut so I am in love with this premium coconut oil from Palm Tree Products. Coconut oil has so many uses. You can use it for health, skin care, hair care, even cooking and baking. This product is super versatile. I use it all the time. This is a large tub so it lasts a long time. I use it on my skin all the time, it really helps to moisturize the skin and makes your skin softer and healthier. I also use it in my hair, a lot of times I mix this in with my shampoo and conditioner. It smells amazing!! I keep it in the bathroom so I can easily find and use it. This is a high quality coconut oil and I love it. Organic Virgin Pure Coconut Oil has many Benefits and Uses. Best For Daily Cooking and Promoting a Healthy Diet and Lifestyle, Eat Raw from the Jar, Use as a Spread in place of Butter, Cook your favourite Recipes with Coconut Oil for Delicious Taste and Energy. Give Metabolism a boost helping with Weight Loss diets, Use in Kosher Cooking, Paleo, Vegan, Vegetarian foods. Delicious Taste, Creamy, Smooth and Very Good for you Inside and Out. A Wonderful base Oil for Luxury Massage Therapy, Intimate moments as a Lube, Tropical Fragrance, Not Sticky Making Coconut Oil the Perfect Choice for Aromatherapy Treatments with Essential Oils. Great for Stretch Marks and Skin Problems such as Acne, Psoriasis, Dermatitis, Cure for Yeast Infections. Naturally Anti-bacterial, Anti- Fungal. Many Uses for Home Remedies. Face Masks, Oral Hygiene and Oil Pulling. A Natural Souce of Energy, full of MCT’s (Medium Chain Triglycerides) for Easy Digestion and aids in Weight Loss diets. Natures Best All Natural Hair and Skin Moisturiser, Glowing, Soft Skin, Glossy Hair, Relives Dry Skin Conditions, Soothes Stings and bites, Cuts and Grazes. Perfectly Safe for Babies, Infants, Kids. A Must have Kitchen Essential for Many Uses. Fresh and Flavourful. Delicious, Nutritious and Pure. Better than Other Cooking Oils for Eating, Baking, Frying, Smoothies, Popcorn Making. All round Perfect Choice as Mother Nature Intended.